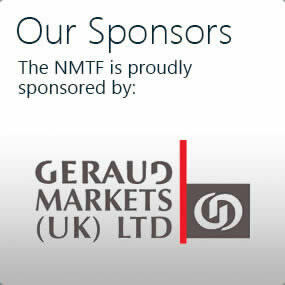 The NMTF was founded in 1899 as the National Market Traders Federation. 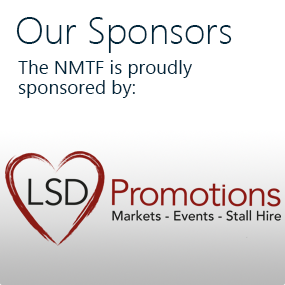 To date, we are the only national trade association for market and street traders, events retailers and mobile caterers in the UK. IN 1899 a leaking market hall roof and high charges for the use of railway station cloakrooms led a small group of Yorkshire businessmen to take action. A meeting was called, we don’t know when. But it was certainly held at the Wentworth Café in Pinstone Street in the centre of Sheffield (pictured below at about that time – the café is in the bottom left corner). Those attending were from market tenants associations in Yorkshire and all felt the need for a collective voice to add weight to their calls for changes. Whilst we don’t know what happened to that leaking roof (some say it’s probably still leaking), there was success in getting a reduction in cloakroom charges. This was important in those days, when the age of steam meant that so many traders travelled by rail. By 1905 there were already 220 recorded members. And by 1910 so much interest was expressed in the organisation from outside the Yorkshire area, and so many more members were recruited, that it officially became the National Market Traders’ Federation. Keen followers will have spotted that the apostrophe has since disappeared – but that was not until the 1990s, when senior officers decided its omission, though strictly speaking ungrammatical, was more in keeping with modern times. The years of the First World War were challenging times for the federation, not least because so many traders were called to serve. Pictured below towards the end of the Great War is Northampton market. Note the soldiers in the foreground, perhaps relaxing while on leave. But work did not stop, despite meetings having to be abandoned. At the 1916 annual meeting, there was a resolution calling for insurance for traders against damage to stock because of air raids. In the same year Sheffield set an example by obtaining a promise from the markets committee that everyone who had to give up a stall because of the war should have them restored when they returned. The end of the war saw the introduction of individual memberships – before then the only way of being a member was by belonging to an affiliated association. Rail travel was still vitally important, and in 1923 the federation obtained a major concession from the rail companies whereby traders could carry up to 60lbs of luggage on their trains free of charge. The early years after the Second World War saw the federation make an unsuccessful proposal to its membership to increase subscriptions so that cover for sickness, death, third liability claims and legal advice could be introduced. The branch system was introduced to replace the affiliation scheme, a head office was established and a General Secretary appointed. Public liability cover was finally introduced, a move which was to boost federation membership more than 30 years later when, because of the introduction of the Unfair Contract Terms Act of 1977, many local authorities insisted that their traders had such cover. The NMTF’s head office had its fair share of moves before settling down at Hoyland, South Yorkshire, in 1986. Its first recorded location is in Sheffield’s Corn Exchange. When that was destroyed by fire in 1947, and after a two-month temporary stay in the Plough Inn, it moved to rented premises in Sheffield’s Spital Hill. The next relocation was in 1977 to more rented accommodation in the Chapeltown area of the city. In the eighties the NMTF had the wisdom to buy its Hoyland headquarters – Hampton House (pictured above), named after Hampton Flint, the larger-than-life President who saw the sense in owning the bricks and mortar. But as the federation grew there was a need for a more spacious building. The new Hampton House was opened in 1999, the NMTF’s centenary year. It was built on the site of the office car park, the old premises then being demolished to provide two-tier parking at the front. That’s the first 100 years taken care of – but there is, of course, much more to tell. For more information you can read a commemorative ebook – A Century of Service – by clicking here (coming soon). 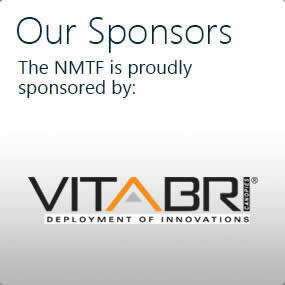 The years since the turn of the century and the dawn of the new millennium have seen the greatest period of change in the organisation’s history, in particular through staff restructuring which has streamlined the service offered to members, and made the NMTF truly fit for the challenges of the 21st century. 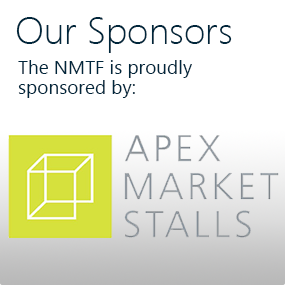 In recent times the NMTF has introduced projects and campaigns aimed at promoting the retail markets industry and ensuring that it has the people needed to continue – shoppers, and a stream of new traders willing to carry on the tradition. 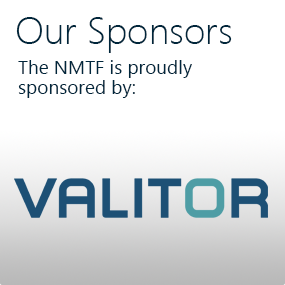 Other sections of this website will give you a flavour of what the present-day NMTF is all about.